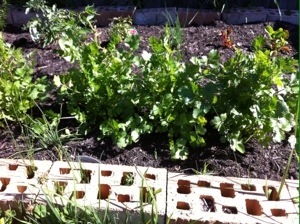 Our beautiful herb garden has really taken off which means we have more herbs than we need right now. 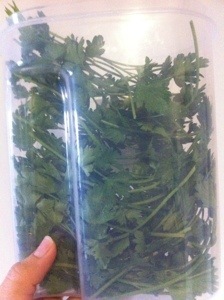 After some research I decided to harvest some of the coriander and some of the parsley to make our own infused oil and butter. 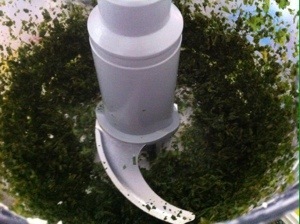 I whizzed the coriander up by itself and added it to half a batch of homemade butter. 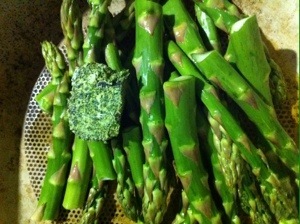 I then whizzed some Australian garlic up with the parsley. 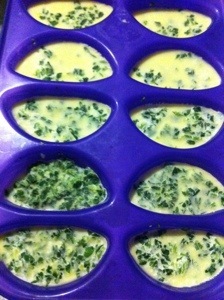 I put some in an old baby food freezer tray with some quality olive oil. 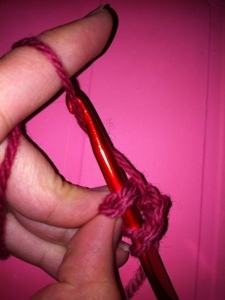 The rest went into the remaining butter. 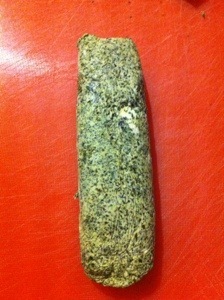 I placed it on some plastic wrap and wrapped it up nice and tight to make a butter log. 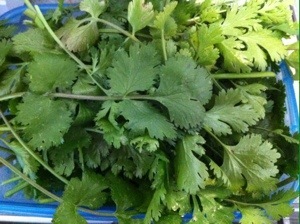 It was delicious on fresh coriander. This is where you should have ended after following round 1. 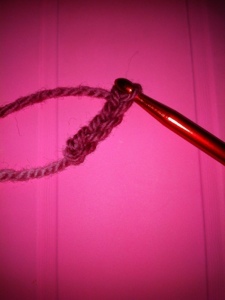 To start round 2 make 3 chains. 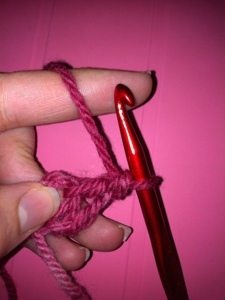 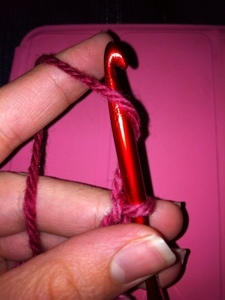 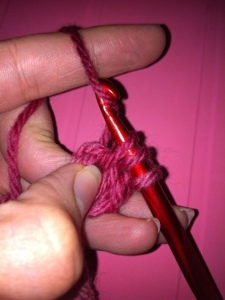 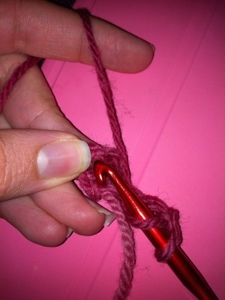 Make a yarn over and poke your crochet hook through the hole below the chain you just made. 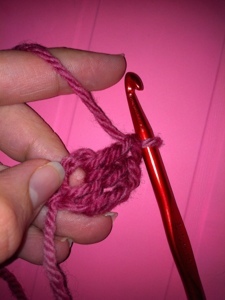 Hook the yarn and pull it back through the hole to start the first double crochet. 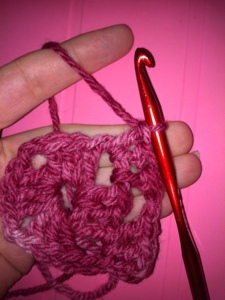 Complete 2 double crochets. 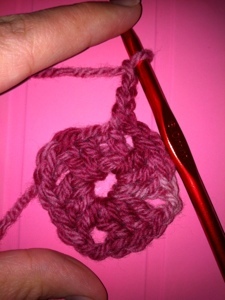 You should now have 1 set of chains and 2 double crochets. 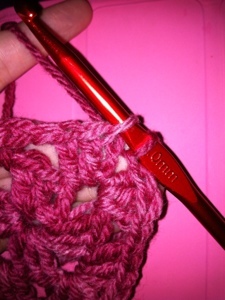 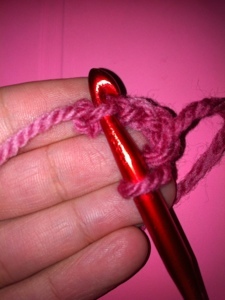 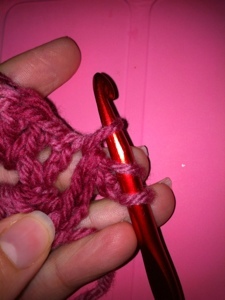 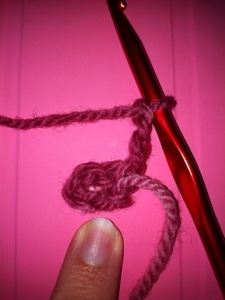 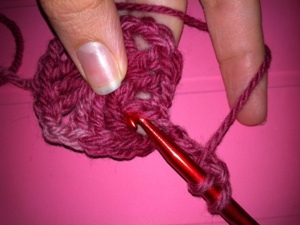 To move across make a chain then double crochet into the next hole along. 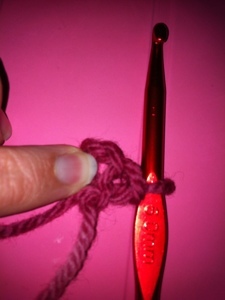 You will need to do 3 double crochets on this edge. 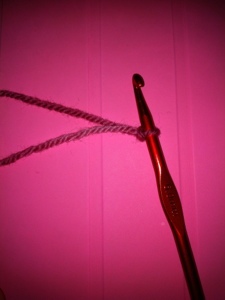 Hooking the yarn and pulling it back through to close the round (single crochet). 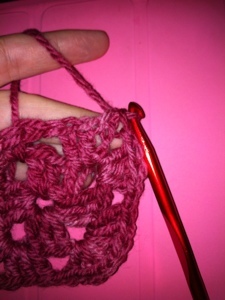 Continue repeating this basic pattern in each round. 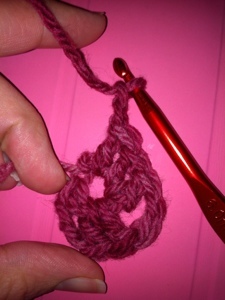 – one chain and a single crochet to join the round. 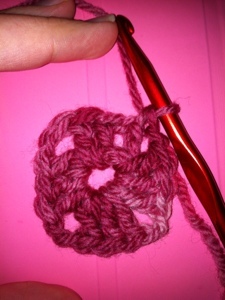 Keep doing all these steps until you end up with a granny square in the size of your choosing. 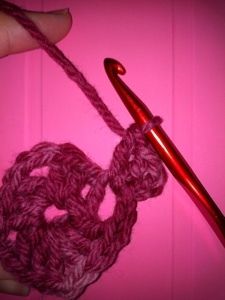 Make sure you always increase by starting with the 3 chains, shown below. 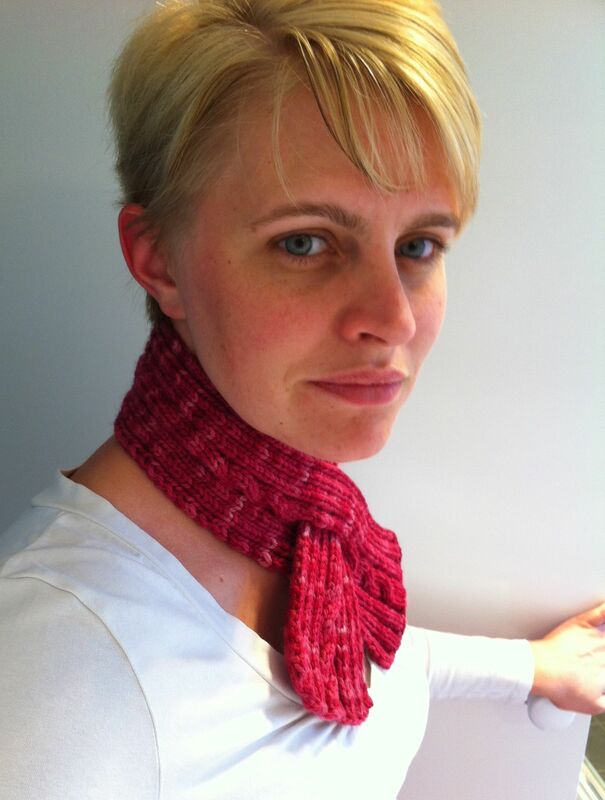 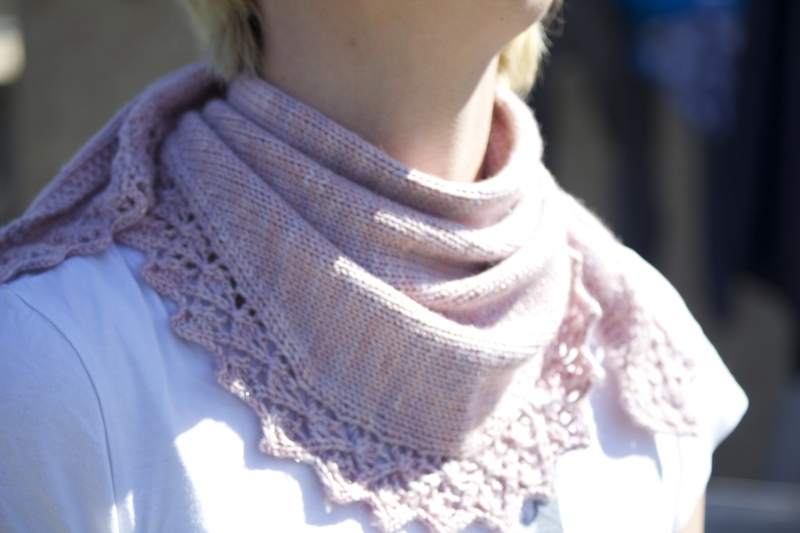 My fourth project was a quick knit designed by the talented Tikki and is called Paula’s Scarfette which you can read about (along with her other lovely knits) here. 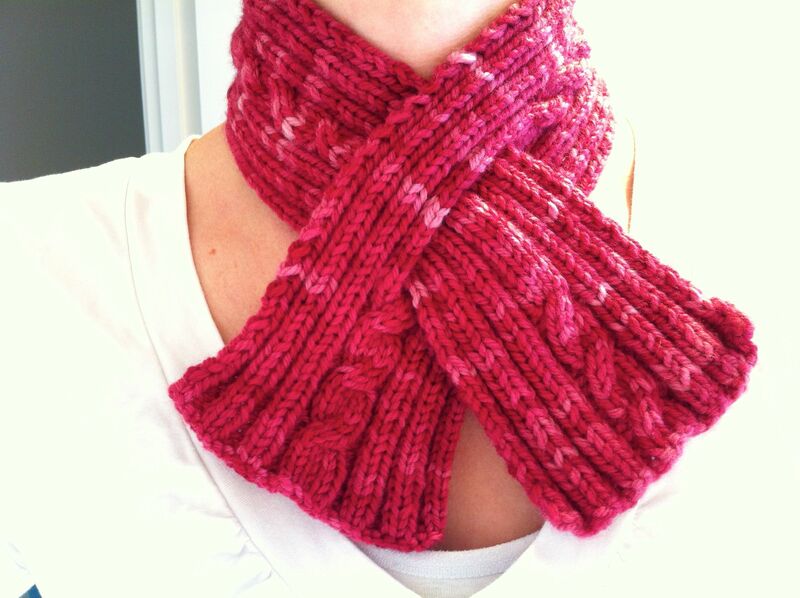 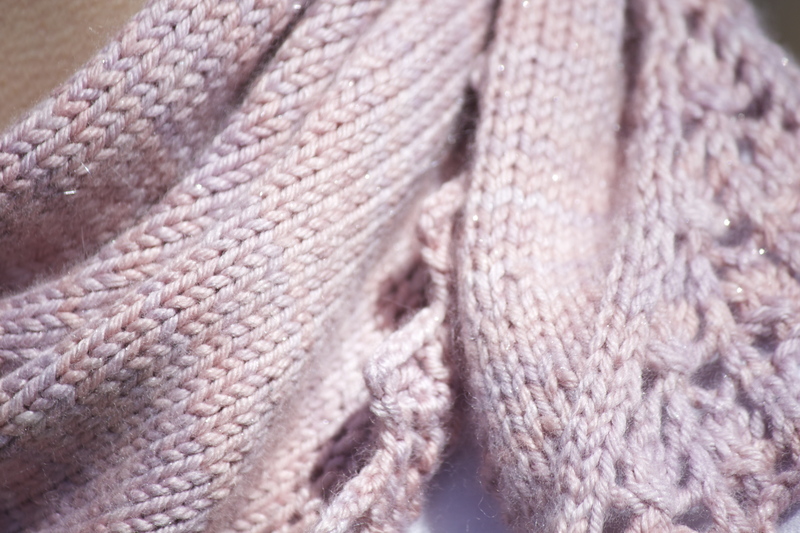 This was a really quick and easy knit. 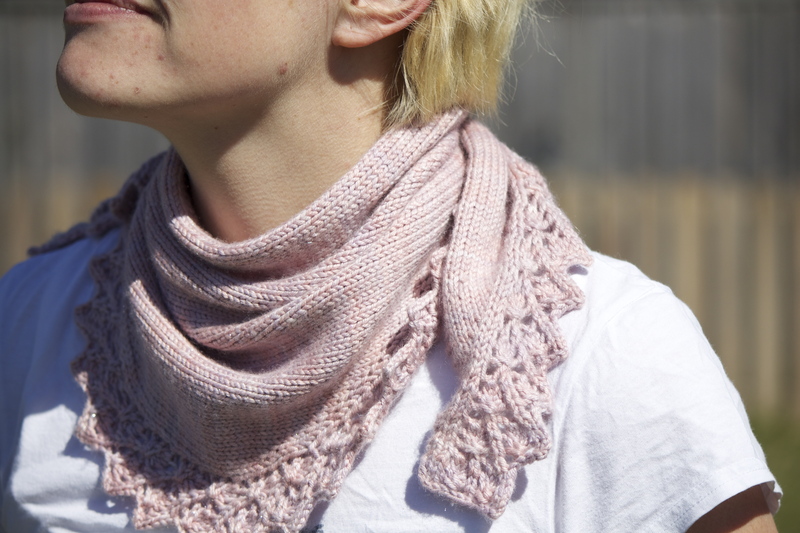 I used a worsted Uruguay merino yarn in Lotus which I purchased from Never Ending Obsessions.